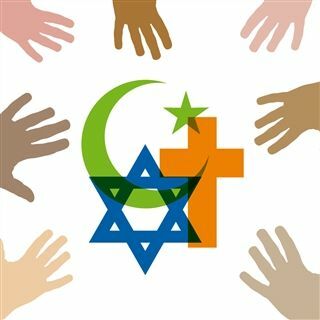 St. Andrew's is proud to host an interfaith dialogue and dinner - free and open to the public - on Sunday, November 11, 6:00 pm at the Upper School's Dell Fine Arts Center. We'll screen the acclaimed documentary "Of Many" featuring Imam Khalid and Rabbi Yehuda. The film will be followed by a light dinner (kosher and halal options available) and a lively discussion about some of the topics explored in the movie.